Congratulations to the following students for having their name drawn from our MVS Success Ticket bucket! 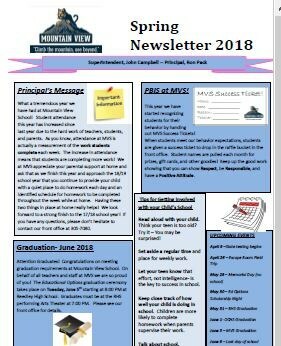 See attached for our Spring Newsletter with end of year information. See link below for announcements for the month of January, 2018.